Few first impressions will ever be as important as the first time you meet the family you are marrying into. Whether you passed the interview with flying colors years ago or are meeting your potential in-laws for the first time this holiday season- come prepared. A plant is the perfect thing to bring if you are worried a bottle of wine might mark you as a boozer and a box of candy seems too trifling. Said to symbolize fidelity and tenacity in the language of flowers, ivy is a great choice for just this occasion. Long-lasting, steadfast and graceful in its growth, show your in-laws that you will be, too, with this potted plant that’s sure to impress parents of a discerning nature. Ivy is a common name thrown around the botanical world that’s attached itself to several different vining plants. 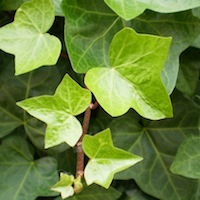 True English ivy, Hedera helix, is the species most commonly grown indoors, though this hardy vine can withstand below freezing temperatures outside as a ground cover without batting an eye. There are several different species that may also be grown as a potted plant inside such as Irish ivy, Russian ivy and Persian ivy; all named after regions in which they are native. Most prefer similar growing conditions and all will have glossy leaves on thin, twinning branches that can easily be shaped into topiary creations using wires or left to spill joyfully over the sides of a container or hanging basket. English ivy has leaves that are trident-shaped, with a prominent point and a glossy finish. New leaves form at the ends of the growing vines which will spiral up any support such as a string or wire. Deep green and lush all year round, some cultivars show variegation with lighter colored edges in white or gold. While technically a flowering plant, the foliage is the focus on ivy and it is unlikely the inconspicuous flowers will be noticed. Contrary to their shady lane reputation, ivies actually prefer bright light in your home and will be quite content to sit in a sunny window all year long. 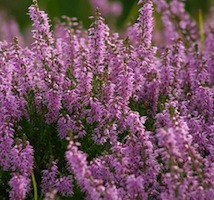 They like moisture, but detest wet feet, so be sure they are in pots with holes and sitting in a saucer for proper drainage. A bit of dusty from time to time will keep them shiny and happy and a spot of fertilizer from time to time will keep them lush and growing strong. Despite this extra bit of care, they are not fussy plants. They just require a bit of work from time to time to keep healthy and happy- just like a relationship with your in-laws.